Where is Lee County, Florida? What makes Lee County such a popular hotspot is probably first and foremost its location along the southwest coast of Florida. With hundreds of miles of gorgeous beaches and stunning ocean views, it truly doesn’t get any better for boaters, anglers, and water enthusiasts of all kinds. 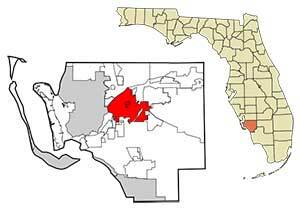 In fact, of the approximately 1,200 square miles that make up Lee County, around 35% of the area is water. In addition to quick access to the Gulf of Mexico through the area’s many canals, local rivers like the Imperial River and Caloosahatchee River also help to make this county shine. Between the 2000 and 2010 censuses, the population of Lee County increased from 440,888 people to 618,754 – that’s nearly a 30% increase and a sure sign that Lee County is growing every day. Perhaps more people are deciding to leave the miserable cold of the northern states during the winter months, as even in January the average daily temperature in Lee County hovers around 64 degrees, though some areas still report weather in the 80’s even during the coldest months of the year. Lee County has proved to be an ideal location for people from all walks of life. 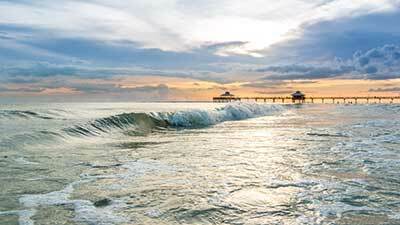 Retirees love the golfing, boating, and community-centered lifestyle that can be found throughout Southwest Florida. Families love the safe neighborhoods, plentiful employment opportunities, excellent school systems, and easy access to a variety of outdoor activities for all ages. Most recently, local universities in the area have been getting attention of their own, and Lee County has become a popular destination for college students – and not just those on spring break. Florida Gulf Coast University, Florida SouthWestern State College, and Southern Technical College are just a few of the more notable higher education opportunities in Lee County. Lee County also serves as a gateway to all of Florida’s most popular attractions. Just about 125 miles from Tampa in the north and Miami in the west, Lee County has a perfect central location between two of Florida’s busiest and most popular cities, while still allowing you to experience a little peace and tranquility. While Florida’s biggest cities stay busy year round with tourists, Lee County has what we call “seasonal” residents. Essentially, you get the best of both worlds – half the year is hustling and bustling, while the other half is quiet and seclusive. When it comes to Lee County real estate, you can find a little bit of everything, from quaint coach homes to exotic villas to luxurious multi-million dollar estates. You’ll even find a houseboat or two for sale, as you’ll find plenty of sellers eager to share their piece of paradise with newcomers to Florida. At Sage Realtor Group, we don’t sell houses, we sell lifestyle, a lifestyle that we believe in because we live here too. For more information on making the move to Southwest Florida, or to check out some of the most stunning real estate in Lee County for yourself, give us a call today at (239) 896-8549.